Implants are synthetic structures that are placed in the area of the tooth normally occupied by the root. Implants are anchored to the jawbone to act as a foundation for an artificial tooth or permanent bridge. In some cases, implants can be used to attach dentures. Implants are so well designed that they mimic the look and feel of natural teeth. Implants are usually made of a synthetic yet bio-compatible material like titan, zirconium or ceramic. We administer the Nobel Biocare implant system (http://www1.nobelbiocare.com/). Nobel Biocare has the #1 market share of implantology worldwide, so that it allows patients to have access to affiliated clinics all over the world. We encourage or even ask patients to take CT pictures. We have a unique and yet effective diagnosing tool called "i-cat Landmark System (http://www.icatcorp.jp/)," a method to examine the overall condition of a recipient site, which Dr. Makabe's university alumus has developed with Osaka University. The system allows a surgical operator to measure bone density, calculate and locate the position of an implant as safely as possible. CT examination will be a necessary and powerful tool for dental implantation from now on. We have recently administered new implant operation system called OAM Implant System (http://www.implant-search.com/). In a regular operation, an operator use several drills to create an implant socket by removing the bone. It could cause nerve and blood vessel damages due to a structure of a drill and disability of changing its drilling direction. In OAM, we use special tools to create an implant socket by enlarging the bone. The structure of the tool is very unique: it does not have a blade so as not to damage nerves and blood vessels. It also enables to lose very minimum amount of the bone. After an implant operation is done, a regular check-up is necessary. 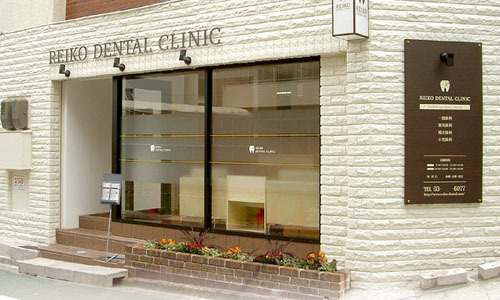 We have our original PMTC program in which your oral environment should be kept more healthy, functional and esthetic.